This page is intended to give you an overview of the routines in Year 3 and 4, together with useful information. We will also post photographs and examples of work throughout the year. We hope that you will find it useful. This term we are learning all all about Our Wonderful World. This will give the children an opportunity to explore the continents of the world, with a particular emphasis on North America. They will also find out lots about different 'wonders' of the world such as Mount Everest. Our PE this year will be taking place on Wednesdays. However please make sure your child has their PE kits in everyday in case of timetable changes. Could all clothing also be clearly named to avoid anything getting lost. Reading - Children are expected to read at least three times a week, with Reading Records being collected every Monday for checking. Mental arithmetic - It is also vital that Mental Maths strategies, including learning their times tables, are rehearsed regularly. Spellings - these are to be practised each week and tested on a Friday. To help your child's spelling development, please practise with them daily - 5 minutes should be enough - using the given spelling sheets which will be taken home on a Monday. 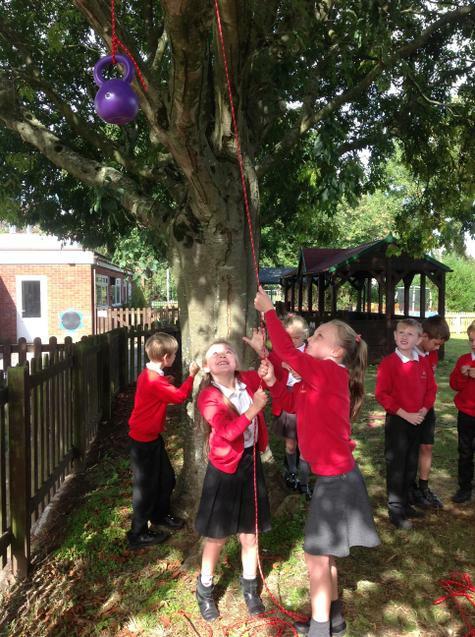 This term's topic is coming to life with outdoor learning. 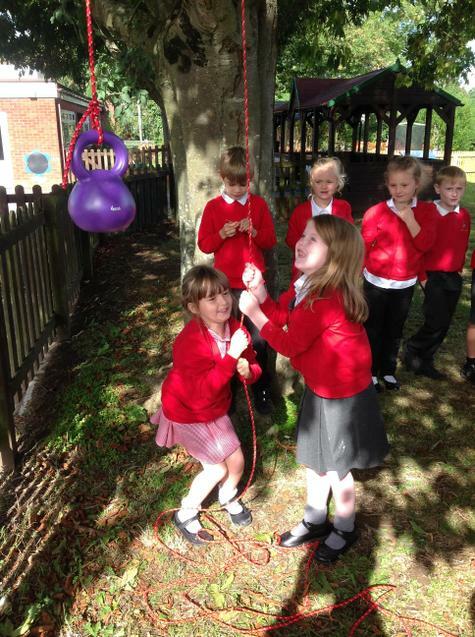 Each week, the children are getting togged up and going out to investigate, build and learn outside the classroom. There is much to be gained away from books and pencils, and the conservation area is just such a place. The children worked together to build Native American style tepees using sticks, rope and blankets. 'Wow, that is the best thing I've ever seen! ', 'This is the best place in the world' and 'Amazing' were three of the ways our children described our experience at We The Curious in Bristol. The trip formed part of our topic work on Our Wonderful World and hopefully inspired the children and got them thinking. The highlight of the visit was our Planetarium show, entitled Blue Marvel 3D which showed what the planet is changing (not for the better) along with various eye-catching journeys through space to Mars, Venus and one of Saturn's moons. This is was such a good trip, we are already pencilling it into the diary for next time! The children in Eagle Class have been busy practising their songs for the carol concert. As with last year, each of the classes will perform some songs and there will be readings in amongst the performance. The show will be performed twice this year, on Wednesday 19th and Thursday 20th December. The day was immensely popular with staff and pupils and we now have a stock of materials that we can re-use next time. Thanks to all who donated. What better way to celebrate the end of a topic, than to dress up and engage if different fun activities. That's exactly what we did during our Roman Day. The children dressed up in all sorts of outfits - some homemade and others shop bought. The activities completed on the day were massive mosaic making, mini-shield making and Roman road building. Such a lot of fun. As part of their work finding out about the ancient Romans, the children created their own homework projects on an aspect of their choice. The pictures show the variety of ideas the children came up with. In Eagle Class, the children learned all about how the Romans used to live. They found out about the clever under-floor heating system they used called Hypocaust. Then, the children built miniature villas out of cardboard, which they decorated with paper mosaics. Finally, the children - who worked in small groups - created Roman roofs and columns to adorn the entrance ways. IT was a very enjoyable art/history/DT project. The children learned all about how cars travel down ramps. 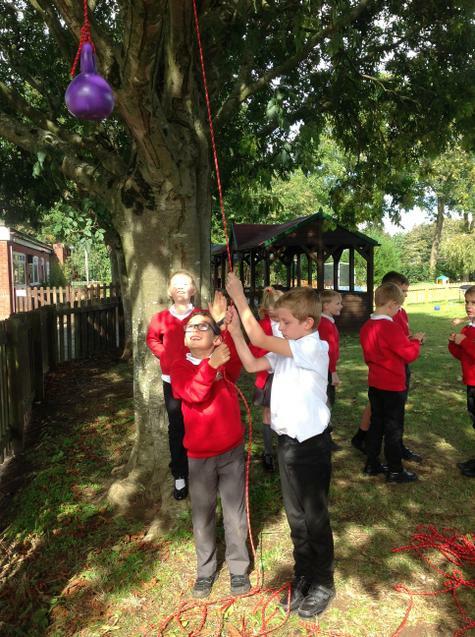 They explored the effect of the height and angle of the ramps on the distance travelled by the cars. Not only that, but the children used their DT skills to build their cars out of wooden rods, dowels and circles. 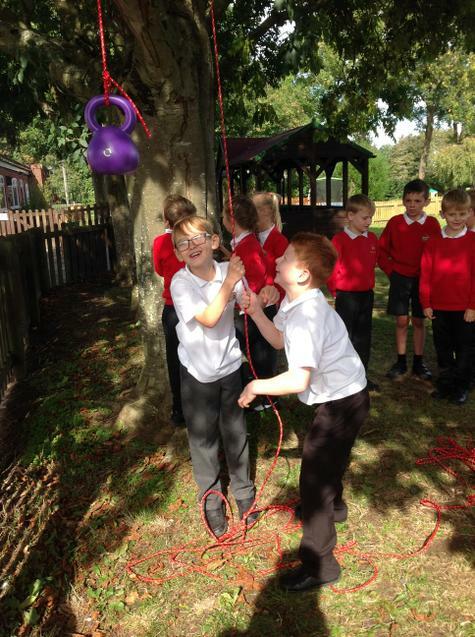 This term we are learning all about machines that make our lives easier such as the simple pulley. 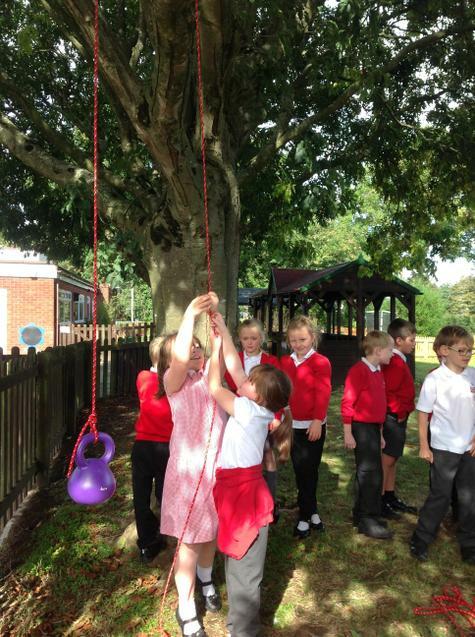 Using a tree, a rope and a 4kg weight, the children learned how we can lift things into places that wouldn't normally be possible. They were asked how the Romans might have used this technology, and their answer was to make roofs for their homes. A great idea!